San Diego City Attorney Mara W. Elliott. A failed effort to gut the state's open records law has landed the City of San Diego in court for violating the same law it tried to change. 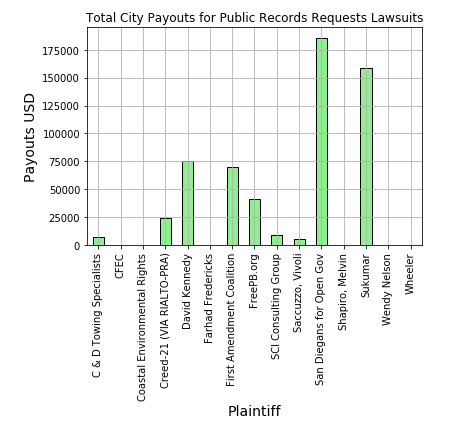 On March 21, the advocacy group San Diegans for Open Government, represented by attorney and recent mayoral candidate Cory Briggs, filed a lawsuit alleging that the city violated the California Public Records Act for refusing to turn over email attachments that San Diego City Attorney Mara Elliott’s Office sent to State Senator Ben Hueso about State Bill 615. The legislation, sponsored by the City Attorney, placed additional requirements on the public before filing public records lawsuits. At the same time, the bill made it harder for attorneys to collect fees when a public agency was found to have improperly withheld public documents. 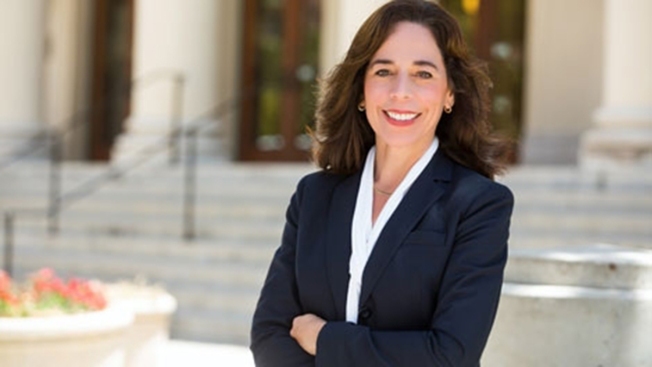 Elliott defended her push for the changes to the law in a March 1 editorial in the Times of San Diego. In it, she stated that frivolous public records lawsuits divert hundreds of thousands of dollars from essential city services into the pockets of attorneys. Those attorneys, wrote Elliott, benefitted from mistakes public agencies make while compiling requests for public records. “If just one sheet of paper is inadvertently overlooked by any one of the dozens of city employees who are asked to search for records, it can lead to an expensive judgment against taxpayers,” wrote Elliott. The bill, however, drew wide-ranging criticism. And, within weeks, Hueso pulled it from consideration. “After hearing from stakeholders on both sides, I concluded the discussion about how to accomplish efficiency in that system requires a lengthier conversation between all interested parties,” said Hueso in a statement. However, before Hueso pulled the bill, media, as well as advocates, submitted requests to view emails and writings to and from Elliott’s office and Hueso’s staff. NBC 7 Investigates requested the same emails San Diegans for Open Government is suing for on Wednesday. The city attorney’s office said they were withholding the records under a “work product” exemption. In response to the requests to view the correspondence between Hueso and Elliott, the city attorney released a series of emails between Elliott’s Chief of Staff Gerry Braun and Hueso’s office. “Thank you and (Senator Hueso) for considering adding City Attorney Mara Elliott’s unbacked bill to your legislative portfolio,” wrote Braun in a Feb. 21 email to Hueso staffer Ana Molino. In the email, Braun touted the bill as a vehicle to “diffuse CPRA disputes” and expedite production of public records. The email mentioned part of the proposal required that members of the public meet with the city before filing any lawsuits. It did not mention, however, another facet to the bill which made it harder for attorneys to collect fees. Missing from the documents released were two attachments that were included in the email thread. When asked about the attachments, the City Attorney’s Office cited the “work product” exemption as the reason for not turning the attachments over. The following day, Briggs sued the city for open records violations. Thus, sending the city back to court for the 24th time since 2010 for violating the California Public Records Act. According to documents obtained by NBC 7, the city has paid more than $576,000 in public records lawsuits since 2010. Briggs has sued the city 10 times and has recovered $247,882 in fees; four of those cases are pending. 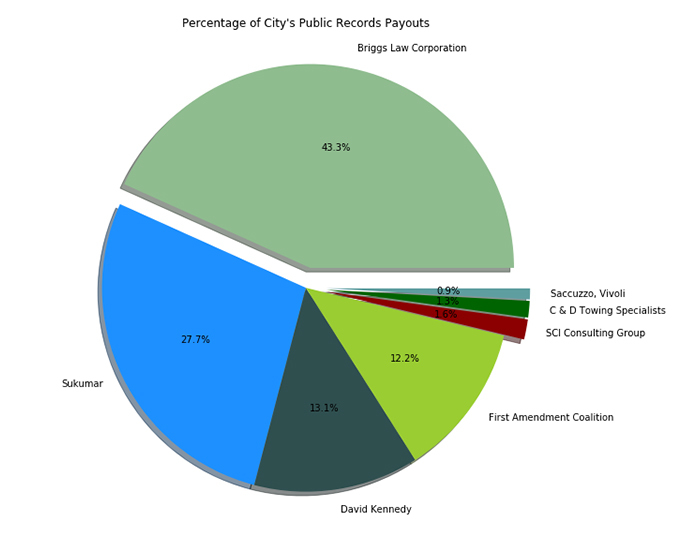 This chart explains the percentage of total payouts for public records lawsuits in San Diego. Experts of the state’s public record law agree. This chart shows the total of CPRA payouts in San Diego. Expert Kelly Aviles, who sued the City of San Diego for withholding public records pertaining to police surveillance and was awarded $70,000 in fees, also believes the city attorney may be on shaky legal ground when defending Briggs’ client’s lawsuit. Elliott's did not immediately respond to NBC 7 Investigates' request for comment.